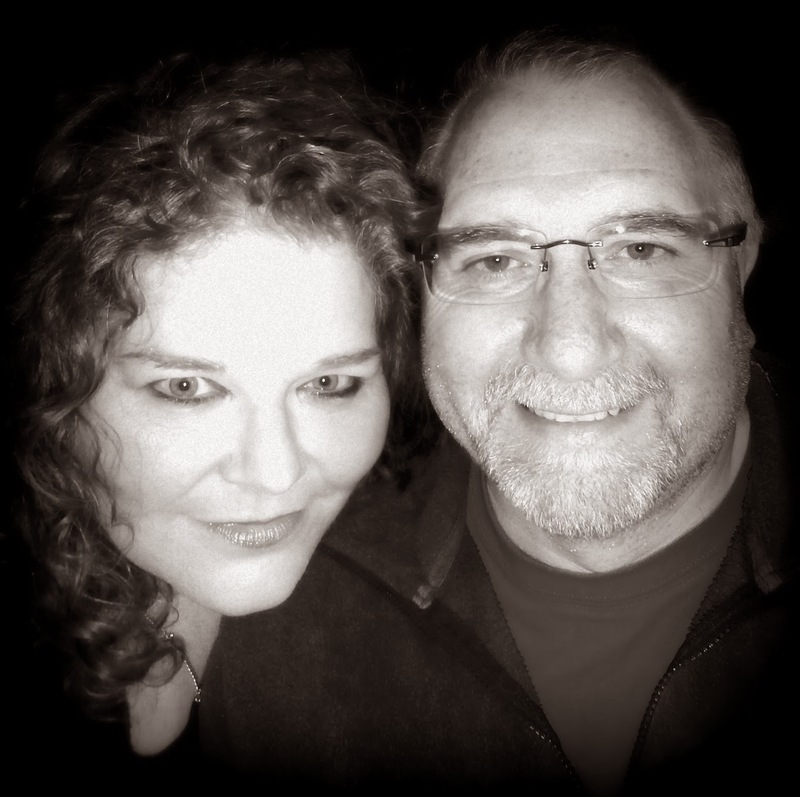 You would think that selling well crafted handmade soap would be fairly easy, wouldn’t you? Well it’s not. If you want to ensure that you’re not going to lose your home in the process, you have to make sure that you are covered by an insurance product for any soap that you make and sell. Here in Australia it’s called Product Liability Insurance. To cut a long story short and after some further investigation today, we found that our business insurance, which we thought covered us for making and selling soap, does not. Even though we specifically told the company that we intended on making and selling our own soap when we took it out, we have been told that it was not part of the deal. So unfortunately we took the decision to delist all of our handmade soap from Little Green Workshops until we find some a company that will cover us for that product. We are risk averse when it comes to the potential loss of everything we hold dear in our sustainable lifestyle. All it would take is one malice individual to take us to court for damages and we would lose the lot. Not something I want to lose sleep about each night even though we have personally been using our handmade soap for over five years without incident. The funny thing was that every other product we sell was okay, including our workshops. It was the for soap we lovingly made ourselves that was the issue. Sometimes I don’t know how small cottage industries survive in this environment, and I thank our business planning foresight that we did not build our entire simple living business around this one product. My mission on Wednesday is to seek out product liability insurance that covers us for handmade soap without breaking the bank. Then Kim and I will have to decide if it the cost is actually worth the potential sales we would make. We will have to wait and see. Anyway, that doesn’t stop us making soap for our own personal enjoyment and for friends and family. We love the fact that we know exactly what ingredients are in our soap and that it is gentle on our skin and gentle on the planet. In fact, I have something to share with you all. We have a new soap making technique to share with you all. 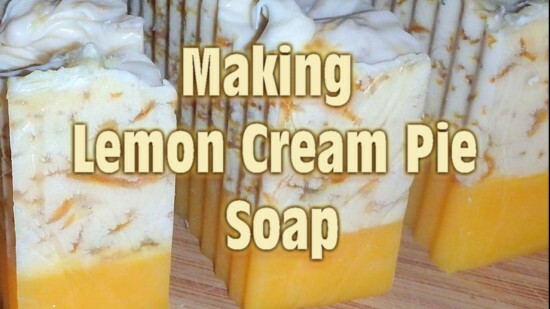 It is our Lemon Cream Pie Soap recipe that I have also made into a video tutorial. 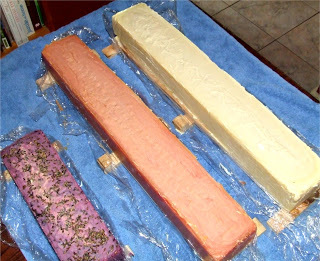 You can find the soap tutorial over at Little Green Workshops blog as well as an ingredient and equipment list so you can replicate our results! Once we have sorted out the insurance issues, I will give you another update about what I have discovered because I had so many emails from you about the process of selling soap when I wrote my last post about the subject. I suppose it’s all part of the our green business journey. Never a dull day in paradise! Sharing: An Answer to Consumerism? Here’s a thought. When it comes to all the stuff that you have in your home have a think about how often you use it. Is is every day, is it once a week, or every couple of months? 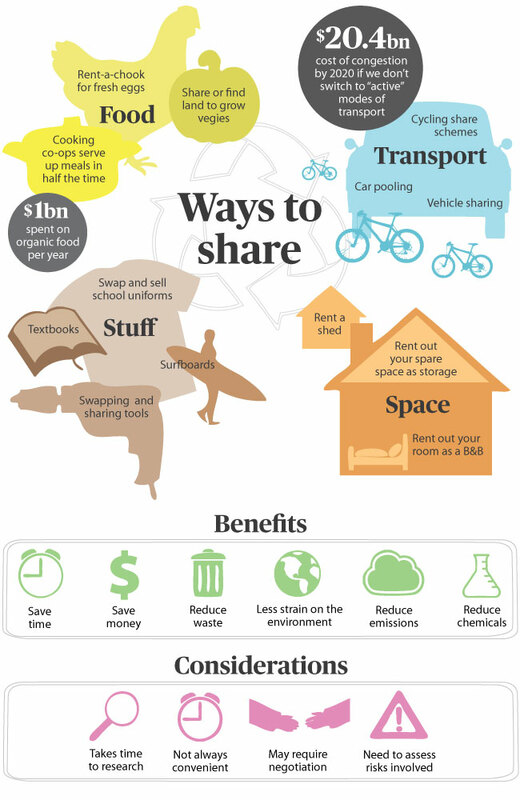 Wouldn’t it be more logical to start sharing, borrowing, or hiring some of the more less frequently utilised things you have around your home. It would certainly be less resource intense and better for the environment! Take tools for example. When I needed a nail gun to build my picket fence around my front orchard, I didn’t go out and buy one, I simply went down the tool shop and hired one with a compressor. Once I was finished with it, I gave it back. It was so much cheaper than getting my own. Same goes for when I needed an impact drill to put some of the garden beds together. I asked my friend Jake over who had all these tools already and paid him in home-brew beer. In fact he actually helped put the beds together, because I wasn’t sure how to use it. There was another time when we wanted to go on a family trip. I had too many people to carry in my Honda Civic Hybrid, so I hired a larger people mover for the weekend. I knew that I didn’t need that sized car all the time, so hiring was the way to go for this one-off need. Another example are trailers. You know, the ones that you tow behind your car and use once in a blue moon. Not only that, they take up valuable growing space in one’s backyard. Hiring would be the logical solution as long as you didn’t have to drive a country mile to find one. So why do people buy stuff they only use every so often or only once in its lifetime. Well, let me take a quote from a very interesting documentary titled Zeitgeist: Moving Forward at around the [1:41:20] mark. Many forget that it’s isn’t the good that they want, it is the purpose of that good. When we realise that the purpose of the good is only as important as its utility we see that external restriction or what we might today call ownership is extremely wasteful and environmentally illogical in a fundamental economic sense. As Spock would say, its illogical Captain! Well there are a few solutions that you could take to avoid ownership of a seldom used item. You could even go car-less if you live in larger cities. For instance you could use a car share scheme like www.carnextdoor.com.au. It’s a neighbourhood car sharing scheme available in Sydney and Melbourne which is much cheaper than owning a car. There is even a cool app that helps you locate cars near you! Why not hire tools and equipment from a reputable hire company or even ask you friends and neighbours if they have the tools you need. At least with neighbours you can trade things for the use. Or you could check out a site like www.networkhire.net, a not for profit business who is trying to reduce the amount of wastage and blatant giving-in to consumerism. You can even put your own seldom used item on the site and make a bit of money from home! What about food? Got too much of a single fruit or veggie? Why not try using a site like www.localharvest.org.au. It has a map of other people like you who has too much produce and wants to either give it away or swap it for something else. Got a spare room that you are not using? Why not list it on AirBnB? You might just enjoy the company and get a steady income stream in the process. Too many clothes in the wardrobe, and want a new look? Why not check out the Clothing Exchange. You can take some of your clothes to an event and swap for new albeit slightly used ones, or swap online. Its a great way to freshen up your style! You could take it one step further and join the Community Exchange System. It’s a community-based exchange system that provides the means for its users to exchange their goods and services, both locally and remotely. There’s sure to be one near you. You can even trade time and effort in return for goods without using money! These are only a few suggestions, so why not chime in with some more in the comments section below. I’m sure there are many more ways of sharing that I have missed! Today I am inviting you into our dining room or inner sanctum if you like, for a candid lunch-time chat with me, Kim, and Emma Sutcliffe. There’s nothing quite like having lunch with like minded-people and chatting about sustainable living. Not much more to say about this episode except to pour yourself a cuppa, grab a homemade scone and enjoy this weeks show. Also if you like the show, use the iTunes button under the player and leave a rating and a review. We love to hear what our listeners think about our show. Alternatively, you can leave feedback via comment if you don’t have an iTunes account.